The Raynox UAC2000 Universal Adapter for the CM-2000 macro lens fits cameras and lens adapter tubes with a front filter mount from 52mm to 67mm. 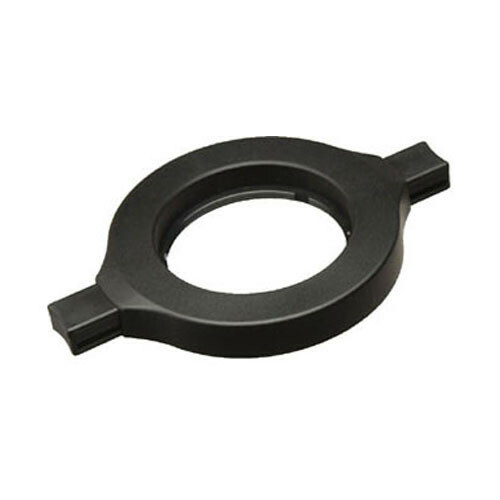 It is made of a rugged ABS polymer compound and uses a spring loaded attachment method. Box Dimensions (LxWxH) 4.5 x 3.2 x 1.7"
Universal Adapter for Raynox CM-2000 is rated 4.5 out of 5 by 4. Rated 4 out of 5 by Tee-Bee from Thank you Raynox I purchsed this Macro lens set from B&H years ago and have been very pleased with the results. When the adapter broke one day I tried to purchase a replacment, but at that time it was not available by itself. I just happened to inquire recently and lo and behold there it was! I ordered it immediatly, and now I can finally use these fine lenses again. Yay! I just wish this ring was a little more durable, but at least it's available. A little advice...buy two...you never know, and they are not that expensive. Rated 5 out of 5 by Todd Kellgren from great price for replacement piece works as expected, came quickly and without hassel, much love to BNH, thanks! Rated 4 out of 5 by DonR from I'd buy this product again Replaced same adapter I'd used for several years. Works great. Does this fits for Raynox DCR 250 ?? Actually, it does fit the DCR250/150. I cracked the lip of my DCR150 and ordered this one as a replacement. It fit perfectly. The The CM-2000 is just Raynox's repackaging of the DCR-150 and DCR-250 combo. Hi, can I use this adapter to use the analogical or digital lens on bridge camera Sony dsc-h300? Thanks a lot. I am not familiar with the camera; this adaptor requires the lens to accept threaded filters which are from 52 to 67mm in diameter. Check the camera lens, and if its inside lip is not threaded (and the online photos do not appear to show threads), then the adapter will probably not work since there is nothing for the arms to grip on to. If there are threads, then be sure the opening is no more than 67 mm wide.